Not only is filtered water important for the quality of your extractions, it can also extend the life of your machine! The presence of various salts, minerals (total dissolved solids or TDS) and chlorine that is often found in mains tap water directly affects the extraction of flavour from oils found in the coffee bean. Large amounts of these minerals can cause significant and costly problems with your machine if they are not filtered out. Small amounts of certain minerals such as calcium and magnesium can aid the extraction of flavours, however, other minerals such as chlorides and sulphates can often cause coffee to become sour or bitter. Because of these reasons, along with differing water types across areas, we recommend testing your water and speaking with us before deciding which system to install. For consistency of extractions and the longevity of coffee boilers, we highly recommend the use of Pentair Reverse Osmosis filtration systems. 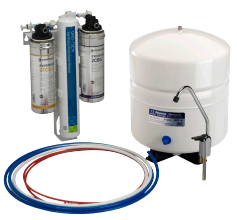 This system removes undesirable contaminants and features a clever blending valves that allow a variable amount of water which has bypassed the Reverse Osmosis system (after been treated by a carbon block) to enter back into the feed water ensuring that necessary amounts of beneficial minerals are included, whilst still removing chlorine and other particulates. In this way, different water profiles can be altered in a way that best suits your machine and profile of coffee. 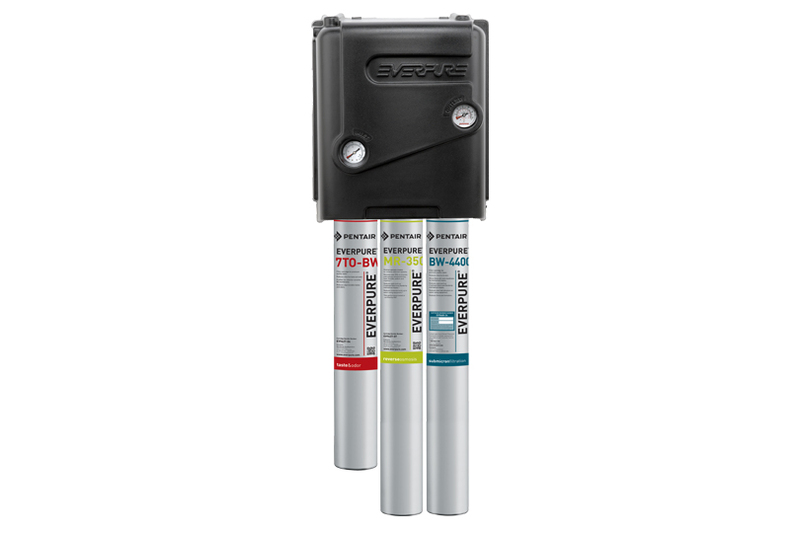 For small cafes ranging from 15-20kg per week, we would recommend the EVERPURE® LVRO-75HE REVERSE OSMOSIS SYSTEM. 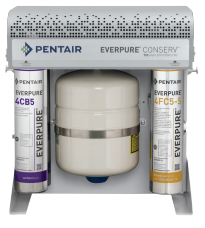 For slightly larger accounts using up to 50kg per week, we would recommend EVERPURE® 75E HIGH EFFICIENCY REVERSE OSMOSIS SYSTEM. For large accounts using up to 100kg+ per week, we would recommend MRS-350BL MRS Reverse Osmosis System.